The balance between artistic integrity and commercial success has always been a fine one to tread in the pressurised world of underground music, now more so than ever as the economic stakes have become more polarised. Social media-based hype further exacerbates an already existing problem: minute changes in direction are micro-scrutinised and commented on, often to the point of exaggeration, and leave artists little room to maneuver. It's difficult to think of a producer whose career has been more spent between these forces than Paul Rose. His Scuba project rose to critical acclaim in dubstep's early days alongside his Hotflush label, before multiple quite deliberate shifts in direction took him on a close approach to superstar DJ status, in the meantime alienating his original fanbase. A portion of this was undeniably related to deliberately commercial tactics bordering on cynicism. So what is his audience to make when another about-face finds Scuba again aiming for artistic respectability? It's a tough pill to swallow, and perhaps the title of his new album has much to do with the artistic position he finds himself in, again seeking legitimacy in the serious music world after significant time spent in the wilderness and hemmed in by expectations on many sides. Part of the reason for Rose's present dilemma was his own uncanny talent through the beginning stages of his career in uncovering and exposing significant emerging artists, which, combined with his own production ideas, carried Hotflush along at a breathless pace and made it one of the leading labels from 2004 until 2012. At its best, the label discovered names that moved past its own niche and remain relevant in other areas – Sigha & Mount Kimbie come to mind – but it remained restless itself, re-directing its sound quite obviously as dubstep became "bass music" and sliding steadily into techno as Rose took up residency in Berlin. His first two albums – the IDM-leaning dubstep of A Mutual Antipathy and the well-regarded techno/dubstep hybrids of Triangulation, placed him strongly at the head of the quickly-mutating genre, a position he seemed to willfully abandon with the release of Personality and its big room-baiting, progressive-leaning sound, something that had only been vaguely hinted at in a few preceding singles. Rose didn't hesitate in turning both his own work and the label's in a similar direction: the simplified fare brought him his greatest commercial reward and frequent visits to Ibiza, but critics and most of his initially-rapt audience dropped him immediately and refused to re-examine what in truth was more of a superficial makeover, albeit a transparently self-serving one, than a wholesale change in direction. Claustrophobia can be interpreted in some ways likewise, a deliberate shift towards a quite widescreen techno sound currently in vogue, but one that trims the progressive excesses of the last few years for something that makes a stab at artistic credibility. As with any of Rose's work, the first thing that's apparent is the immaculate finishing of the material, showing a technical expertise few producers come close to. Big, bold, and clear, with concise structure and immediate impact, he's not dabbling around with barely-disguised borrowings from elsewhere. It helps that he had already tackled techno quite well with SCB earlier in his career, material that is deeper and less flashy than this but equally well-formed. Compared to most recent releases, which approached trance or EDM ideas and earned him derisive remarks from serious critics, there's a lot of trimming that has gone into this tastes-wise, certainly self-consciously given the context of the album. It's not the spartan techno of the early SCB records by any means, but the never-quite-convincing progressive window dressing has mostly been thankfully thrown out said window in favour of an approach that maintains big room impact without pandering to its more simplistic tropes. Claustrophobia is a clear step back from the brink, and the producer obviously knows this. Still, he's not making things easy for anyone, and the repeated drug references or apparent cynical slant of the track titles compared to the tracks themselves opens the way for questions of his intent. 'Why You Feel So Low' is a case in point, where much more tasteful use of still-heavy filters and an innate melodic sense lends a restrained drama to it, but it can't be called anything near introverted given current ideas circulating on techno dancefloors. The acid that forms a recurring theme on the record surfaces subtly here, as well as the field recordings, another longtime hallmark of his work. 'Television' falls perhaps halfway between the excessive moments and the introspective ones, exercising a carefully-controlled tension that falls close to pure rave music but avoids cloying. 'Drift' and 'PCP' likewise come across well, the four together along with the ambient opener forming a first half for the full-length that stays within Detroit-set limits for dramatic flair, with noticeable influence from Motown producers. 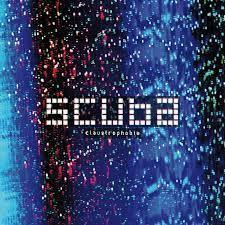 Given that over 10 years have now passed, it's easy to forget that early Scuba dubstep tracks were distinguished by a certain melodic tendency and extroversion rare in the genre at the time unless tied to explicit aggression. One piece here, 'Needle Phobia' could even slide onto one of those early records, but it fits just as easily here more as an interlude than as the main draw. For the first time in recent memory however, he's using these traits again to his advantage in a convincing way, and the results benefit audibly from it. Concerning lapses into questionable taste, both in title and in execution 'All I Think About Is Death' is too grandiose for its own good, especially in the epic build and flashy deployment of the vocals, and 'Black On Black' skirts uncomfortably close to the progressive and trance ideas that already soiled his reputation with the serious techno crowd. They're both extremely detailed in their production, much more defined and enveloping than standard big room fare, but at times reach for obvious emotional excesses that clash with the more reserved material elsewhere. There's little doubt that the dizzily rising and falling filters, circling acid and blasts of bass of 'Black On Black' are effective at moving a festival crowd, but it sounds unnecessarily pompous and overblown on an album whose reserved moments are most often its better ones. Whether Claustrophobia causes a stir or, like much of his recent material, slides by without much notice, discarded by critics and serious music listeners, it is a record that in many ways redeems Rose and puts him within reach of the ideas that brought him his initial accolades. The expected questionable moments don't tip the balance, and there's clear skill in execution and composition at work here. It's going to take time for him woo back fans he deliberately alienated, especially as the signs of his recent past remain quite clear, but the album sounds much more convincing than he has in quite some time. For an artist with a significant amount of unassailable work under him, a return to form would be a welcome one, but for now, if the signs point that direction for Scuba, the waters remain muddy, and that may very well be how Rose prefers it.